This New York City rock band captures the sights and sounds of post-9/11 America on their hard and edgy debut. It’s ironic that in an age dominated by strife – from the Culture Wars to the War on Terror – we find ourselves living through history, yet without a soundtrack in which to define these times. 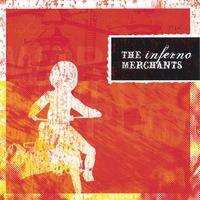 Such an attitude embodies what The Inferno Merchants are all about. From the moment they take the stage, the audience is helplessly aware that it is witnessing a musical capsule moment as they’re taken on a sonic tour that fuses a mix of influences ranging from David Bowie to Stevie Ray Vaughan and Pearl Jam. Of course they also come for the jams, or to watch the band, “Go Inferno!” as they term it. The inferno is blazing and the buzz is spreading throughout their hometown of New York City and beyond. Their debut album Warchild’s Play has twice been the feature on the weekly radio program, \"RockWired,\" broadcast on KTST-FM, out of Orange County, California. And in November 2008, snowboarding enthusiasts will get a taste of The Merchants at the box office when their song, \"Love, Springfield,\" will be featured in, \"Shred,\" a comedy starring Tom Green. What fans have described as, “The soundtrack of the Drudge Report,” is beginning to generate a buzz around the clubs of New York and beyond. Perhaps this is why The Merchants are packing historic venues such as The Bitter End. Stay tuned as the heat from the inferno continues to rise….